Three Rivers Winery is located in the small-but-booming wine town of Walla Walla, Washington. 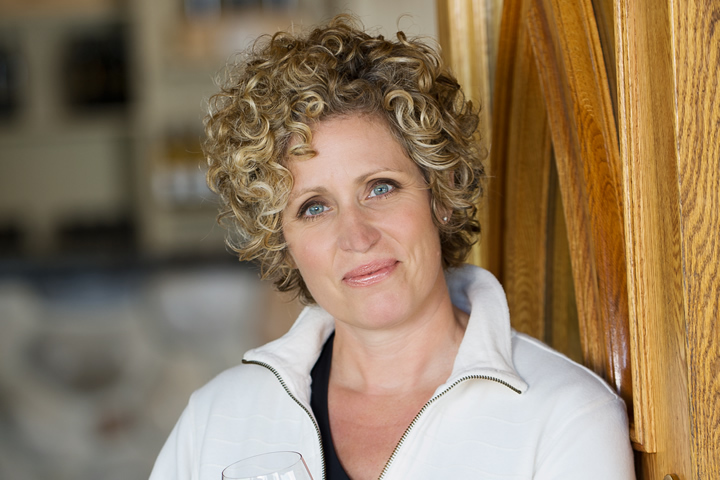 Leading the charge there is winemaker Holly Turner, who is doing her part to put the winery's products on the map in the Pacific Northwest and beyond. Q: What drew you to the winemaking profession? While I was attending college and studying environmental horticultural science, I took a part time job in a tasting room where I had a "light bulb moment" that wine was a way that I could apply my love of science in an artistic way. From that moment, I embarked upon a trajectory into enology and never looked back. I remember the first time that I topped barrels as a cellar rat; I felt so at home and fascinated all at the same time. It just felt right. Q: At what point did you realize that you wanted to get into winemaking? That tasting room job got my food in the door, and from there I moved into the lab which really solidified that this is exactly what I should be doing. It hits on all cylinders for me. It’s challenging from the science perspective, artistically intriguing, physically engaging and certainly not boring. When I get tired of crunching numbers or running trials, I can take a walk through the vineyard; it’s all relevant. What an awesome profession - there isn’t a day I don’t want to take my work home with me! Q: How'd you land at Three Rivers Winery? I had been asked to join Three Rivers as the Assistant Winemaker after I returned from a harvest in Argentina in 2000. I jumped at the chance to move to the small bustling wine town of Walla Walla. We were the 14th winery in Walla Walla, the industry here was just about to take off. Fun to be a part of that growth. "I’ve traveled and worked in different wine regions and, if given to work in any wine region in the world, I think I’d stay put. There is still so much unrealized potential in Washington, fun to be a part of its evolution." Q: Your husband, Andy, is the Assistant Winemaker at Three Rivers. What is it like working with him daily? Any pros/cons? There are nothing but pros working with my husband every day. We love what we do. We talk shop all the time, and that’s okay. This is the kind of thing that isn’t just what you do, it is who we are. During harvest, we are working non-stop. We appreciate our time away and have never ending discussions of how to improve everything from wine quality to customer experiences. Q: What's the typical day like for a winemaker? Does it vary by season? VINEYARDS (Summer); blending longer aged red wines, fruit contracts, vineyard visits including sampling and prepping equipment for the next vintage. Q: What's a common misconception about your role? That I drink wine all day. Nope... wouldn’t get anything done if that’s how we rolled. Q: Do you have a favorite Three Rivers wine currently? Since it's spring, and I have to say our 2018 Estate Cabernet Franc Rosé is tasting nice and refreshing. With its pale salmon hue, fragrant floral aromas and wild mountain strawberry flavors finishing crisp and clean, it’s what the doctor ordered. Q: Any words for other women who are looking to break into the industry? Go out and get educated. There are more options now than ever! All experience on and around the industry is worthwhile and don’t forget to taste as many wines as you can. After all, you could be running the show one day. Want to see the end result of Holly and her team's work? Shop all Three Rivers wines, available now in the Foley Food & Wine Society Wine Shop.